This must be what is called juxtapostition? The big hard structure and the little soft bird. Great shot. that's rather serendipitous, ain't it? makes for an awesome shot. aces! Now that's a happy accident and a half! 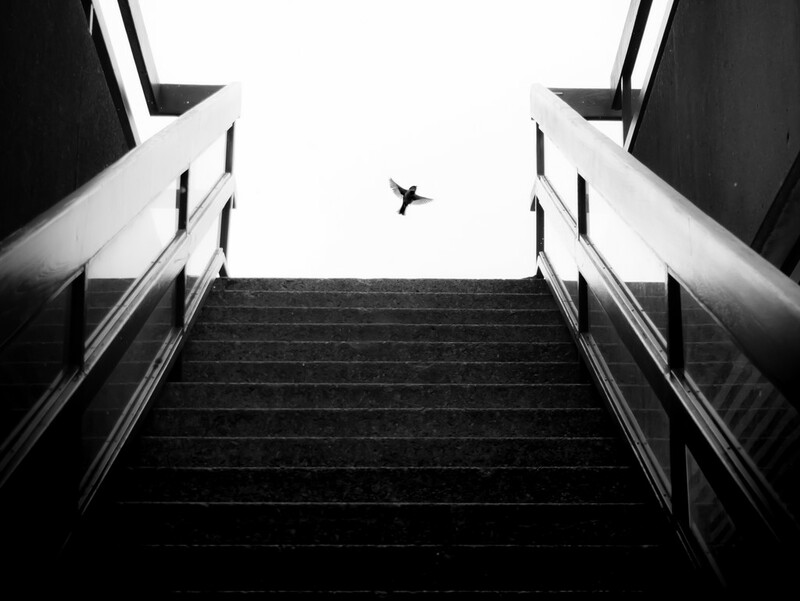 That is fun how the stairs framed the bird. You must have had your camera out and ready. Oh wow! was my instant reaction. Fabulous timing.